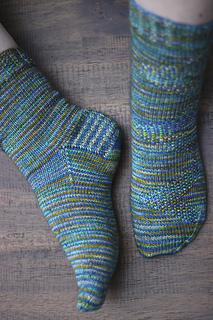 I love a vanilla sock as much as the next gal. 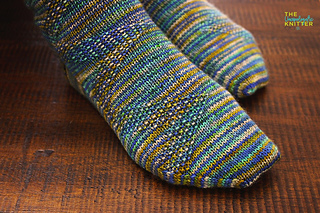 But sometimes the pooling in a variegated yarn needs to be interrupted when the heel is worked. These Vanillus Interruptus fit the bill perfectly! 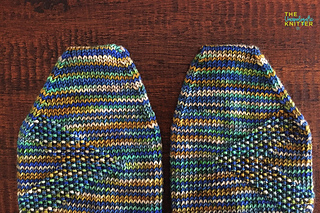 In the Heel Flap section, for the largest size of sock, the repeat of Rows 1 and 2 should be 19, not 29. An update has been pushed through Ravelry. For the LEFT sock only, in the written instructions, repeat p1, k1 6 times, not 5. An update has been pushed through Ravelry.